Something old, something new, something borrowed, something blue. But who knew the “something old” could be the style of your engagement ring? Antique engagement rings are a hot trend for brides-to-be and their grooms, but is this trend here to stay? Because there are a ton of design options to choose from, there is an antique style engagement ring to fit every bride! 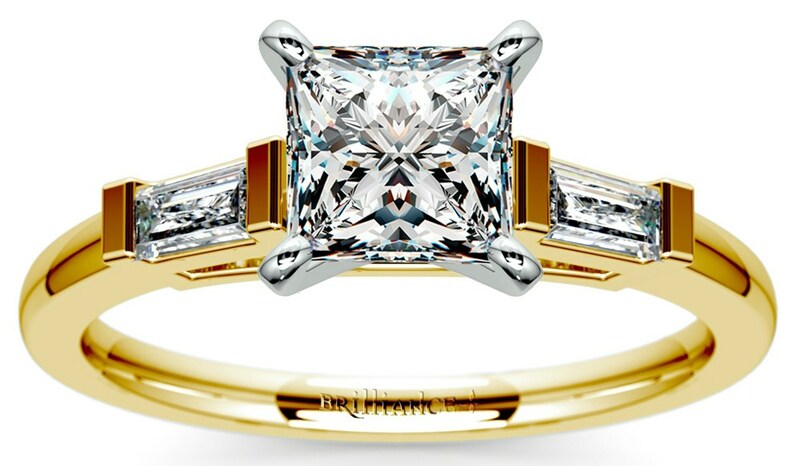 Art deco style engagement rings tend to be more symmetrical, with clean lines and symmetrical shapes. The Asscher diamond cut shape is most suitable for this style, which is reminiscent of the roaring 1920s. Slip this onto a your future bride’s finger for an instant flashback to the Great Gatsby era of loud music and rowdy dancing. 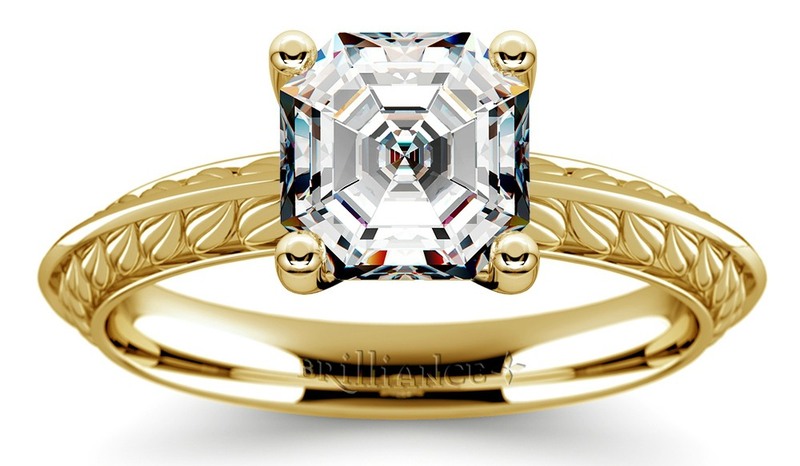 For something with a little more romance, look for a Victorian style antique engagement ring. Unlike the art deco designs, Victorian engagement rings feature great detailing, especially along the sides of the ring. Many women love the delicate and feminine nature of a Victorian engagement ring with intricate floral detailing, which shines and stuns from every angle. Brides appreciate Victorian designs for their uniqueness, since it would be difficult to find two rings with identical detailing. Women oftentimes reference the glamorous 1940s for hair, makeup and clothing when planning their weddings, but did you know you could also get a piece of the 1940s on your bride’s finger? Recently, there has been a shift towards the 1940s style for brides looking to buy vintage engagement rings. Unlike the excessive detailing of Victorian rings, the baubles from the 1940s are more streamlined, with decoration focused solely towards the center of the ring, and clean sides. These rings may mix metals, or play with unique diamond side cut shapes, such as the baguette, to achieve this look. Talk about an eye catcher! 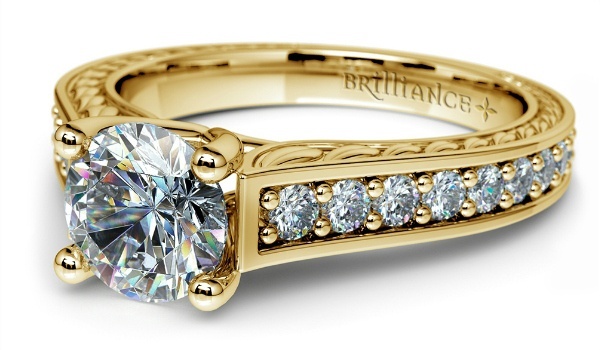 So what makes these trendy engagement rings stand out from their modern day counterparts? 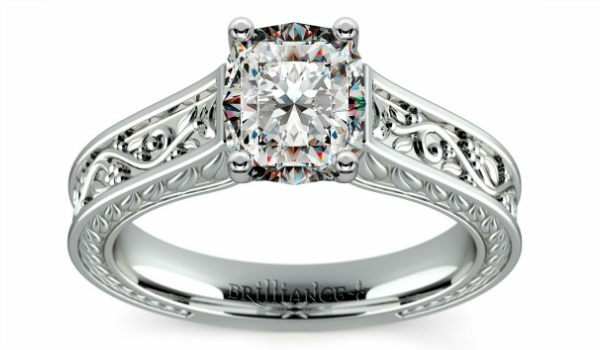 Typically, antique engagement rings come set with a wider band with plenty of room for this intricate side detailing. Most antique style engagement rings are solitaire rings, with smaller main stones than the flashier, modern styles. Although the stone is smaller, the entire ring overall tends to be bigger due to this wider band and detail work. Antique engagement rings are perfect for brides who want to make a statement with their jewelry, but in a demure way. This style speak volumes about the woman who wears it: the classic, sophisticated bride-to-be. Want a modern take on the antique style engagement ring trend or find an engagement ring that matches your style, with a unique stone like a radiant cut? Customize it! Add your initials into the side detail work to personalize the ring, or create an antique style set in modern rose gold as opposed to other antique metals. Although these rings are made to look like vintage heirlooms from the past, this trend has become an instant classic, sure to stick around for generations of brides to come.